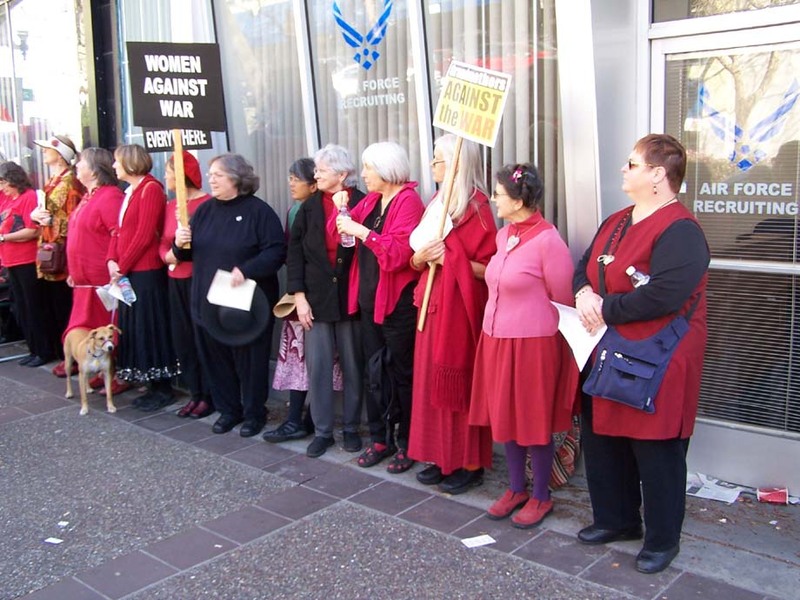 Yesterday, Grandmothers Against the War gathered at the Oakland, California armed forces recruiting center to offer to enlist to replace those serving in Iraq. The recruiters closed and locked their doors. 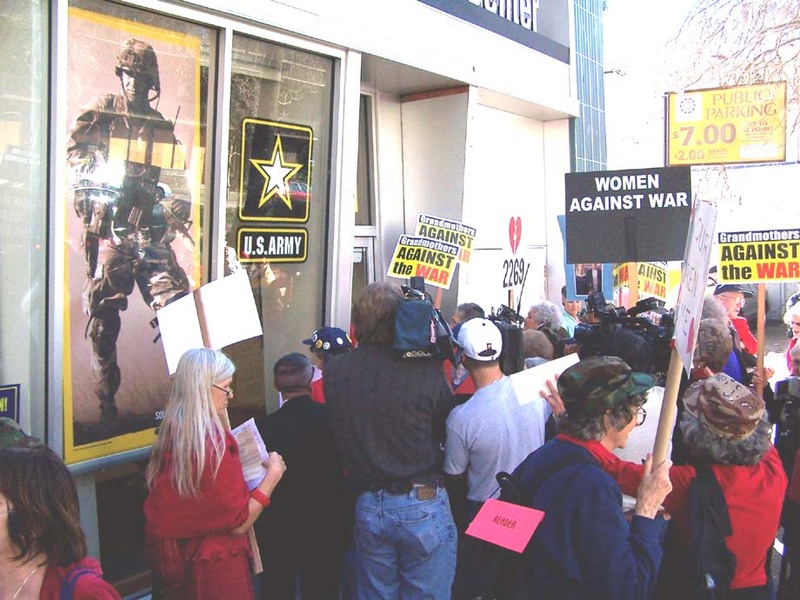 The police closed off the northbound lanes of Broadway, Oakland’s main downtown thoroughfare, and over 300 people demonstrated peacefully against the war on the street and sidewalk in front of the recruiting center.